On August 5th, 1950, Communist troops came across the Naktong River to southwest and northwest of Taegu on the Korean peninsula. They begun filtering troops to the rear of American lines, forming a tense political situation. The perimeter around Pusan was forming. The increasing hostilities, and the north Koreans numeric superiority left few options for the United Nations and American ground forces. But, on that day, a Mark IV nuclear bomb was dispatched to the eastern Pacific. It would travel in two parts. One part, the dense uranium core, and the other, the high explosive outer casing, would each be carried to the area via separate aircraft, routes, and times. 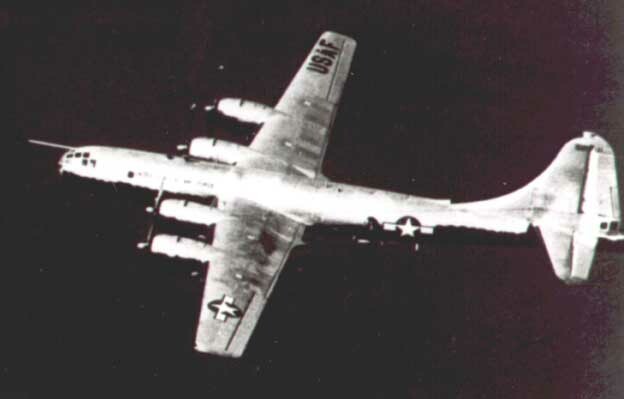 A B-29 bomber left Fairfield-Suisun Air Force Base on August 5th, 1950, carrying the high-explosive portion of the Mark IV. However, it would have travel very far. 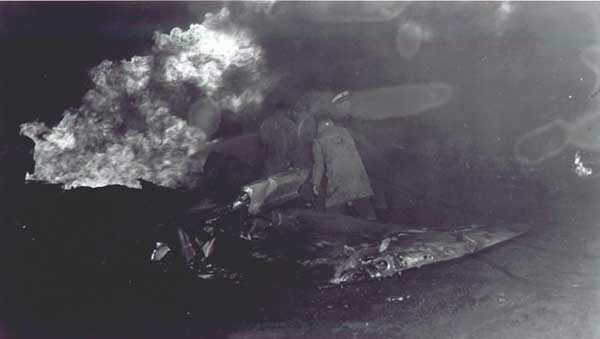 "On 5 August 1950, B-29, SN 44-87651, crashed, burned, and exploded 5 minutes after takeoff from Fairfield-Suisun AFB, CA, causing fatal injuries to 12 crewmen and passengers. Eight crewmen and passengers received minor injures. Extensive damage to private and government property and injuries to both civilian and military personnel were caused by a subsequent explosion of the bomb on the aircraft. The pilot, Captain Eugene Q. Steffes, was at the controls, with Brigadier General Robert F. Travis acting in command pilot capacity. At 2200 PST, the aircraft was cleared for takeoff on runway 21 left, which is 8,000 feet long. The wind was 17 knots from the southwest. A full power check (2,800 ROM and 48 inches) was made, and the brakes were released for takeoff. Just prior to liftoff, the number two engine propeller malfunctioned, and the aircraft commander ordered the number two propeller be feathered. After liftoff, the pilot actuated the gear switch to the ip position, and the gear did not retract. Due to the increased drag (feathered number two engine and the lowered gear), the rising terrain ahead and to the left, and the inability of the aircraft to climb, the aircraft commander elected to make a 180-degree turn to the right back toward the base. Upon completion of the turn, the left wing became difficult to hold up. The aircraft commander allowed the aircraft to slide to the left to avoid a trailer court. A crash landing was imminent as the altitude of the aircraft was only a few feet above the ground. The aircraft struck the ground with the left wing down at approximately 120 mph. All ten people in the rear compartment were fatally injured. General Travis and one passenger in the forward compartment received fatal injuries; all other crewmembers and passengers escaped with only minor injuries." About twenty minutes after the crash occurred, the high explosives in the bomb casing ignited. The blast, felt and heard over 30 miles away, caused severe damage to the nearby trailer park on base. The day after the accident, investigators comb through the wreckage for any clue as to its cause. Today, the site is sparsely scattered with few remains of the aircraft. The site lies on Travis AFB near the base exchange, a school and car wash. 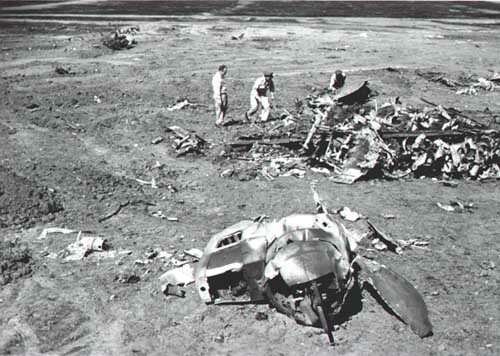 Looking at the crash site today, the initial impact of the B-29 occurred to the extreme left in the photo. The B-29 came to rest approximately in the center, in the background near the center light pole. The trailer park that can be seem in the left of the photo is an RV park and is not in the same location as the trailer park was at the time of the crash.